For the last dozen years or so, or at least since I’ve been a member of the NMRA, the Philadelphia Division has been meeting at the wonderful Community Center located along Naamans Road, just south of the vast Brandywine Town Center shopping center in Wilmington, DE. Once again the large meeting space was the setting for our November 10th meet in concert with National Model Railroading Month. We were joined by our friends from the Jersey Division in a joint meet that swelled attendance to 67 people! The morning’s clinics were presented by Philly members Joe Walters and Earl Hackett. Joe presented his clinic titled, “Scratch Building a ‘Type J’ Jordan Spreader.” This interesting and complex piece of railroading equipment was designed not only for spreading ballast or shaping ballast profiles, but with the addition of various ploughs, wings, and blades, was also capable of removing snow, creating banks, plus cleaning and digging ditches. Joe’s presentation described the various methods of constructing the parts and assemblies, mostly from styrene, that form the completed model. He presented the finished model and an-swered many interesting questions from the audience. Joe has become very active in the Division; in addition to hosting the annual DE-MD-NJ-PA Fall Open House Program, he has earned six achievement certificates and has joined The Dispatcher Newsletter Committee with his byline column, “A Cup o’Joe.” Welcome aboard, Joe! After a short break, our Achievement Program Coordinator, Dave Messer, MMR, presented the AP certificate for “Cars,” to none other than Joe Walters. This is Joe’s 6th and he is on track to receive his Master Model Railroad (MMR) ranking. The Prototype Scene on a layout is that area which closely and accurately portrays or models a scene to a good degree of scaled accuracy. In other words, the prototype scene is recognizable in model form as being almost like the real thing or the real place. For anyone interested, Joe lives in nearby Bear, DE, and his layout can be viewed in this issue and on Bill Fa¬gan’s videos found on our website at http://www.phillynmra.org/. Continuing on, Earl Hackett presented “Using 3D Print-ing to Produce Cast Masters from Parts,” another in his ongoing series of cliinics on building parts using 3D printing and castings. Earl presented a C&O-type cantilever signal bridge where the signal heads were custom built to match each of the signal aspects of the real tower. Earl first designs casting molds using a 3D printer to make the original master mold. This master mold is highly detailed and can accurately hold three LED lights in place. Each head is then cast with the LEDs embedded into the mold using epoxy-resin. This way, many signals can be cast using just the one mold with each unit being identical to the others. Earl has been experimenting and scratch building many items using similar molding techniques. He shared samples and examples of his work with the group as well as answering questions from our interested audience. After the door prize drawings, our guest and Jersey Divi-sion Super, Bob Grosse was the lucky winner of the 50/50 Raffle. Congratulations! A brief Show & Tell session followed with our “regular” attendee from Susquehanna, Dennis Blank, describing his model display. The meeting ended shortly before noon. Following the formal Division Meet, our MER 2019 Committee met under Rob Hinkle’s leadership for another round of planning. The committee is seeking volunteers to fill out many positions necessary to properly pull off the convention. Anyone interested in contributing or volunteering is welcome to attend. The Committee reviewed this past MER 2018 convention with many lessons learned on making the 2019 convention better. There will be several “make & take” clinics and layouts to visit as well as to operate. A tour is planned at a local nearby short line railroad. Any and all local or regional manufacturers associated with model railroading are being invited to attend and present clinics on their products as part of the model railroad experience. Updates to the MER 2019 Committee appear elsewhere in this edition. The committee will meet again in February and anyone interested in helping are cordially invited. Afternoons are for visiting layouts and with the annual November Model Railroad Open House event occurring at this time, several nearby layouts were open for visiting. With November being model railroad month, this event is a wonderful way to visit, observe, study, and get to know kindred model railroaders. We wish to thank Earl Hackett for once again securing the wonderful Brandywine Town Center venue, the clinicians Joe and Earl, our friends from the New Jersey Division, and all who attended. We hope you enjoyed yourselves and on behalf of the Division, extend warm wishes for a Happy Holiday season filled with joy, hope, family, friends, and model railroading! 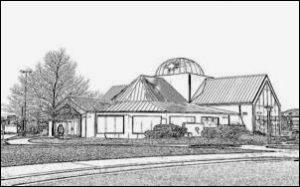 Our next meet will be on January 12, 2019 where we will join with the New Jersey Division in their territory at the Grace Episcopal Church, Merchantville, NJ. See you then!